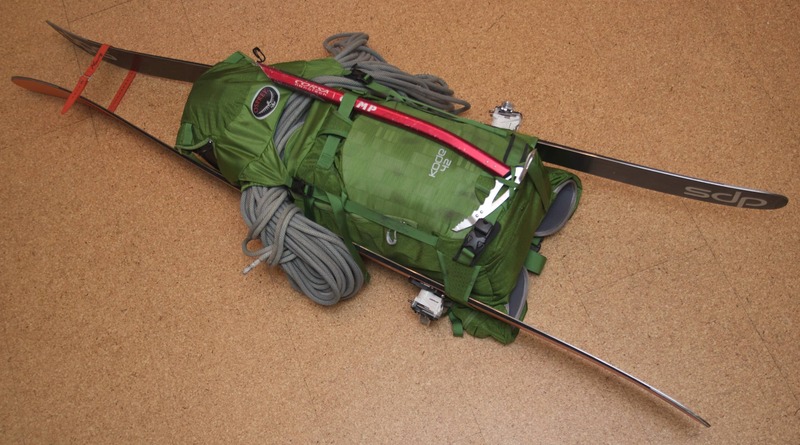 I’ve done a lot of pack reviews over the years though but traditionally focused on ice, rock or alpine oriented packs. This year I decided to take this expertise and apply it to a comparison review of some newer mid-size ski packs. I chose this size of pack as it’s so versatile: great for hut-based overnight trips, hut-to-hut ski tours, ski/snowboard mountaineering trips or even just for day trips as the compression straps can shrink them down when the extra space isn’t needed. While there’s quite a wide range of ski packs out there to choose from I decided to look at the Arcteryx Khamski 38, the Patagonia Snowdrifter 40, the BCA Stash 40 and the Osprey Kode 42 and compared them head-to-head. * All of the ski packs come with the following additional features: A-frame ski carry, diagonal ski carry, vertical &/or horizontal snowboard carry, hydration sleeve, snow safety equipment compartment, side compression straps. 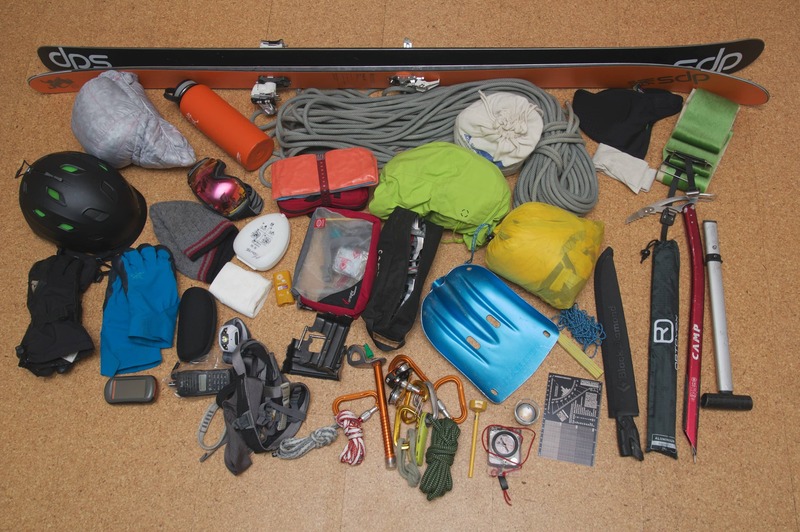 To get a feel for each pack’s size and carrying capacity I’ll put the same gear in each one. 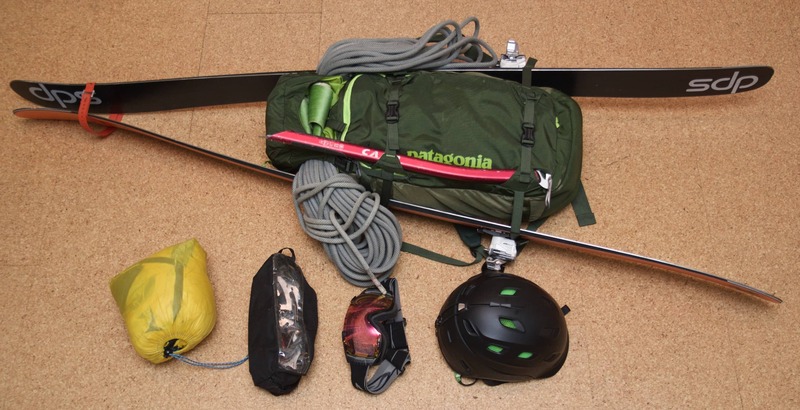 I’ve chosen to use gear I might take on a long single-day ski mountaineering trip: Skis, skins, ski crampons, boot crampons, probe, shovel, saw, basic snow study kit, repair/emergency kit, headlamp, GPS, tarp, first aid kit, harness, 45m rope, crevasse/rock rescue kit, sunscreen, TP, sun glasses, radio, helmet, goggles, extra puffy jacket, shell, extra gloves, balaclava, insulated water bottle, lunch, ice axe and of course a small camera. I would normally share the group gear (rope, radio, repair/emergency kit, tarp & first aid kit) with my partner of course but let’s see how it all fits in each pack anyway to get a feel for how each accommodates the different equipment. This is the smallest of the ski packs that we looked at (by advertised volume, not by actual capacity) and we reviewed last years model. There are a few subtle differences (color, axe attachment system, snow science pocket, etc.) in the current model but no really big changes. Getting down to the actual review, the Khamski is basically a standard top-loading pack with a snow safety equipment compartment and ski carry straps, simple but functional. It fits my back nicely, rides well when loaded and has a big snow safety equipment compartment that fits my skins as well as all the standard gear. One feature that I really like is the side access zipper, it allows quick and easy access to all the gear in the pack. This is especially great when the top lid has a rope, skins or something strapped under it. However, the Khamski doesn’t have a helmet attachment system which I found quite annoying. I don’t want to wear my helmet when I’m skinning up so it would end up dangling off the back of the pack and inevitably get filled with snow. Moving on, there’s no dedicated goggle pocket which wasn’t that big of a deal, I just wrapped the goggles in my extra puffy, but is a good example of the simplicity of this pack. Lastly, it’s weather resistant with taped seams and urethane coated fabric in areas prone to getting wet. This is basically a nice way of saying that it takes longer for water to soak though (ie. not a dry bag). However the pack’s fabric doesn’t absorb much water either keeping this lightweight pack light on those warm snowy days. Nice long size access zipper makes getting items in the bottom of the pack easy. Pros: Large snow safety equipment compartment, long side assess zipper, weather resistant. Cons: No helmet attachment system! Overall: A simple and durable pack that works well aside from the lack of helmet attachment system, get an aftermarket helmet bra and it’s good to go. 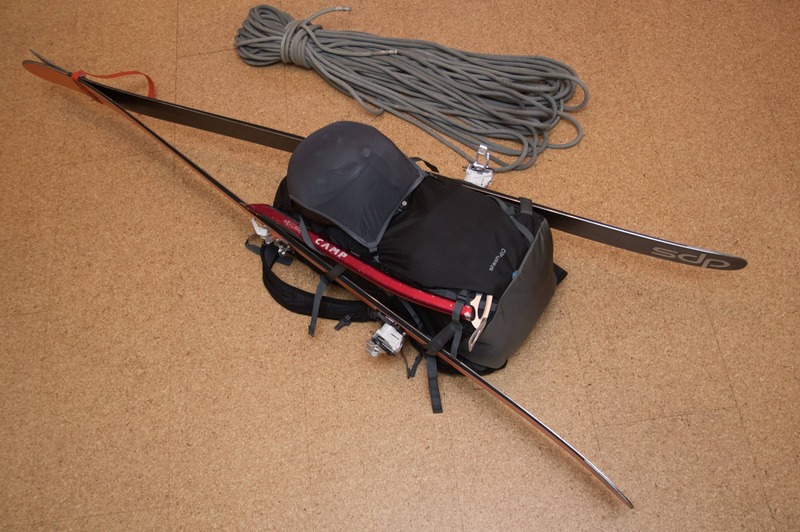 This is another simple top-loading pack with ski carry straps and a snow safety equipment compartment. The pack feels small for the 40 L size but carries very well with a natural low-profile fit. A cool feature on this pack is the small zippered pocket that is tucked just inside the snow safety compartment, easy access to snow study gear and no need to carry it in a special kit, I love it! My main issue with the Snowdrifter is the narrow top opening which is constricted further if the goggle pocket, located just inside the top of the main compartment, is used. The side access zipper could have remedied this issue by providing a large alternate access, unfortunately the zipper is quite short and so it doesn’t open up very wide either. I found the snow safety equipment compartment a bit narrow and many of my shovel blades didn’t fit, though my smaller touring shovel fit snugly. Unfortunately this pack doesn’t have a helmet attachment system either! I’m a bit surprised given how mainstream helmets have become in the ski industry that half of the packs reviewed don’t have any way of carrying one. Lastly while it doesn’t have a dedicated ice axe carry system the snowboard straps work just fine. Pros: A small zippered pocket in the snow safety gear compartment for my snow study kit, side access zipper, low-profile fit. Cons: Small for 40L, constricted top and side access to the main compartment, a narrow snow safety equipment compartment and no helmet attachment system. Overall: A solid ski pack that wears well but the sleek design has resulted in narrow access points which can make it hard to load and unload and I was disappointed with the lack of a helmet attachment system. If you get this pack make sure it will fit your shovel. 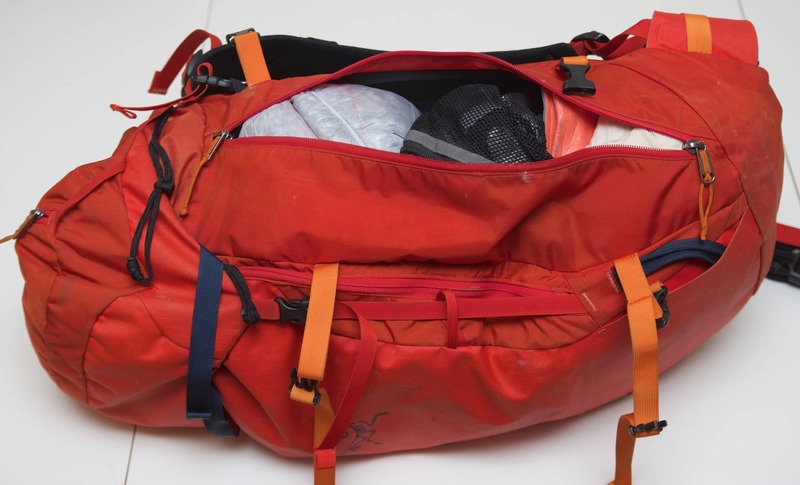 The Stash is the only pack reviewed that doesn’t have the more traditional removable top lid that’s cinched down by clipping a couple of nylon straps. The up-side to this design is that the top lid straps are not needed and so there’s one less step to accessing the inside of the bag or the safety gear compartment and it creates a sleek pack. 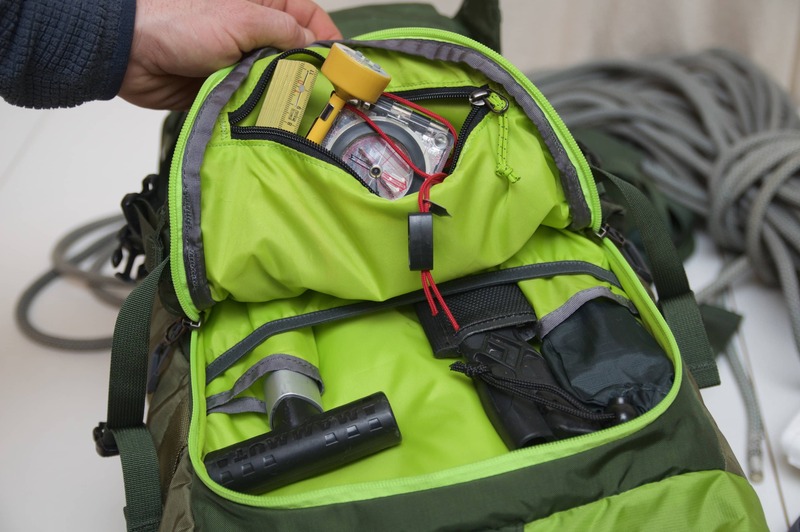 The down side is that the top lid on other packs has a few functions including serving as an easy access pocket for smaller items, increasing/decreasing pack volume, securing a rope, etc. Basically, what I’m saying is that both styles of pack have pros and cons and so I’ll focus on the features of the pack instead of the style. I’m a fan of the simplicity of the Stash, right down to the color (it comes in any color you want, as long as you want black). The main compartment zipper for the pack is great, it’s long and burly allowing easy access to everything inside. Just inside the main compartment is a small zippered gear pocket, in the same location on the outside is a goggle pocket. While I really like these pockets I think I’d prefer to have them reversed, goggle on the inside and gear on the outside, possibly a bit bigger as well. The one-size Stash 40 fits big, anyone any smaller than my 5’-10” frame may find the suspension system a bit long though it did carry well for me. Strangely, it has twin ice axe attachments but no rope attachment system… stuff the rope into the main compartment for those missions involving glaciers or steep snow, ice and rock I guess. Lastly, the Stash has a sunglasses pocket which I found useful and at last a pack with a helmet bra!! Pros: Simple, light, sleek, economical pack, easy to access the interior, helmet bra. Cons: No rope attachment system. 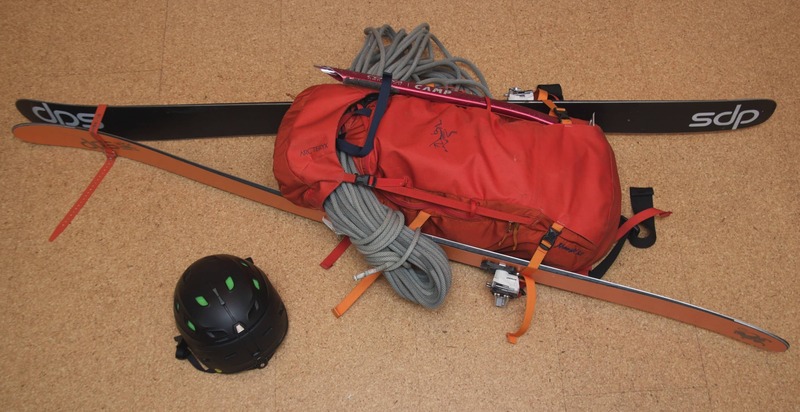 Overall: Well thought out and laid out this is a great ski pack for any mission not needing a rope such as ski touring (single or multi-day) and it offers great value. Of all the packs tested this one really surprised me, every time I wanted a feature there it was! Starting with the access points, it has a typical top access but also a back-panel access point. This is great as it keeps the lumbar and waist belt out of the snow when digging into the main compartment and provides unparalleled access to everything inside. I found that I’d almost never use the top access point except to secure a rope or to quickly tuck in an extra layer as the back-panel opening was so useful. The top lid has three compartments, the top one is for a helmet (which I also used for my goggles), next is the main top-lid storage for small items and then under the lid is a small pocket for those less frequently used items like a headlamp or keys. The top two compartments have the same style zipper pulls and so I’d get them mixed up sometimes. To remedy this I attached a short ribbon to the main access zipper but it would have been nice if the zipper pulls were different colors. The snow safety compartment has a small pocket on the inside for snow study equipment, which I really like, though it doesn’t have a closure system. 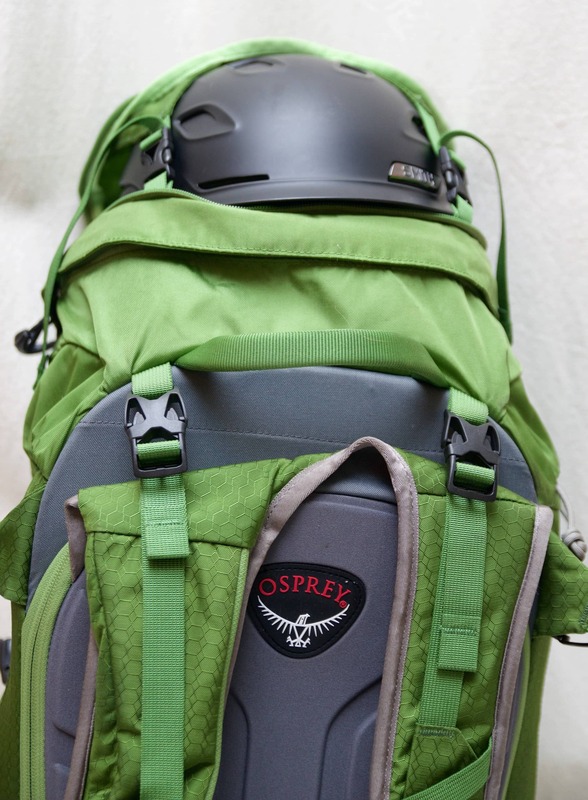 Lastly, as I’ve come to expect from Osprey, the pack as a comfortable and solid suspension system. Even when carrying very heavy loads the pack feels secure and moves with me. Pros: Great suspension system, unparalleled access to the main compartment and a helmet attachment system. 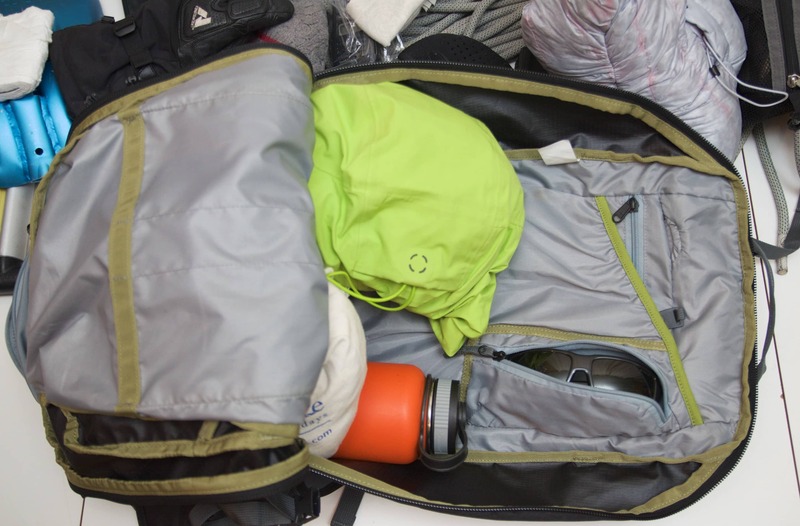 Cons: The large lid can feel ungainly when the main compartment was not very full, heavier than the other ski packs. Overall: This is a versatile and comfortable pack, big enough for a few days touring hut-to-hut and small enough to be used on every-day trips with some great features like the pack-panel access and a sleek attachment helmet. While these are all great ski packs (otherwise I wouldn’t have bothered reviewing them), some excel in certain areas while others are more versatile and of course there’s a degree of personal preference involved in deciding which features are essential versus optional. My personal favorite of the bunch is the Kode though I’d have had a hard choice if the Khamski had a helmet attachment system. The Stash was a close second for pure ski touring but not for ski mountaineering where I prefer a more standard top-load pack design.